If any of you want to block your Airtel Sim card then here is some simple tricks by which you can block your Airtel Sim card.If there's some need to deactivate your airtel sim due to some reason so you don't have to go at airtel customer care for Blocking your sim. Just you have to switch ON your Mobile and type this Number **04*3814*7529*68243# . Now it will ask you to enter PUK No. so please enter wrong PUK Now your sim will be Blocked.. 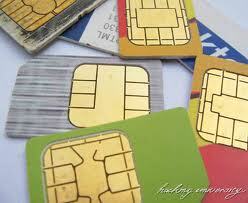 Please Don't use this Methode to harm others Airtel Sim , this is just for educational purpose. Please don't harm others.